This is also an old project from last year. 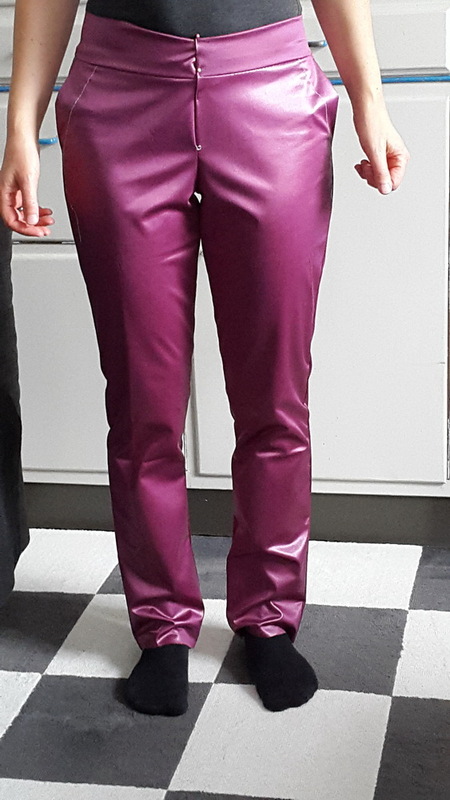 I participated in the testing for the North Point Trousers from Itch to Stitch. The North Point Trousers feature the classically sleek straight leg silhouette, a medium rise and curve through hip and thigh, ankle length, contour waistband, front slanted pockets, back single-welt pockets and a fly front with zipper and double hook and bar closure. 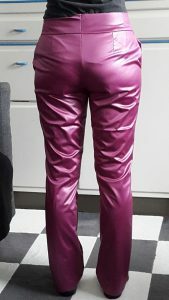 For me, they were just the perfect office trousers. If you follow my blog for a while, you know that traousers and me are not the best friends fitting wise. So it is no surprise that I debated with myself if I should apply for the testing or not. 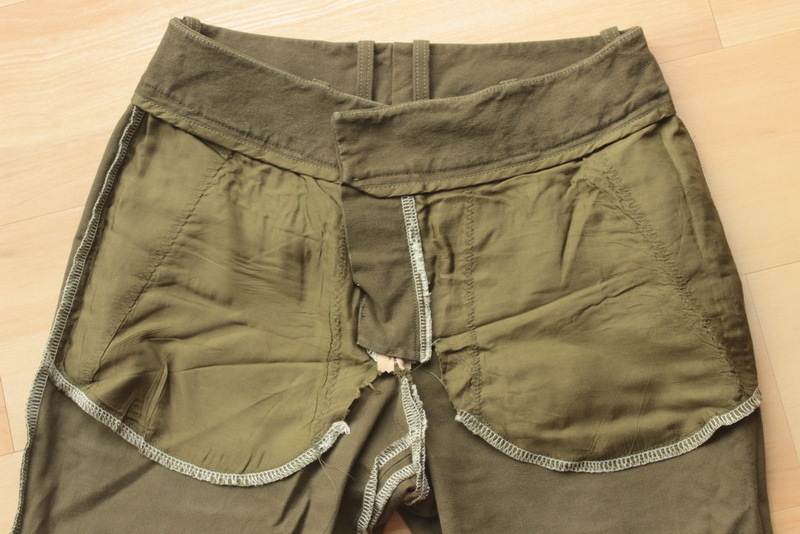 First I said it is nonsense to try to get these trousers fitted within the always short testing deadline. But somehow my unreasonable self won and I applied. Because these trousers have everything I would wish for, and trousers for the office are a big gap in my wardrobe. 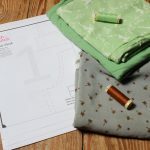 After applying to the pattern test, I ordered some fabric somewhere in UK, but it did not arrive in time. 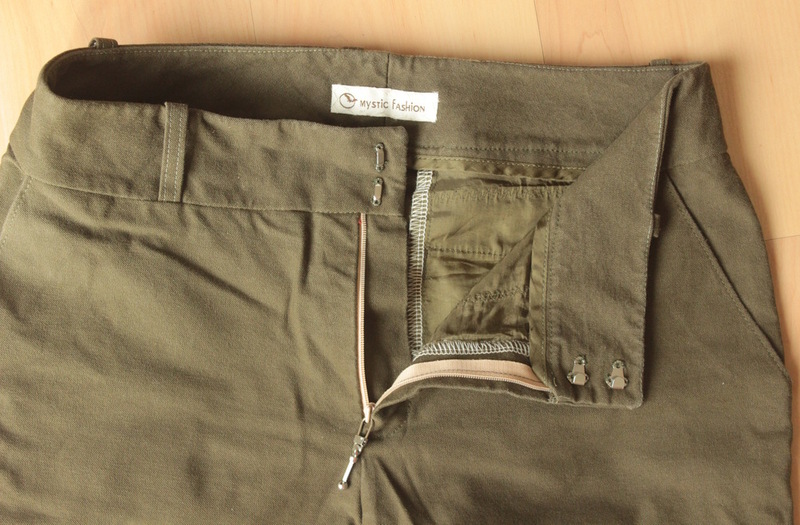 So I had to dive deep into my stash and found this olive green stretch twill. 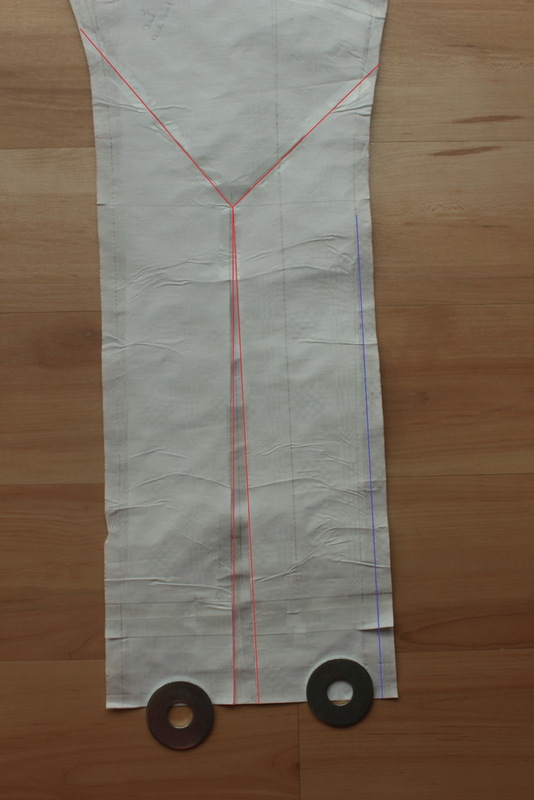 As it turned out it was very suitable for the pattern and easy to sew with. 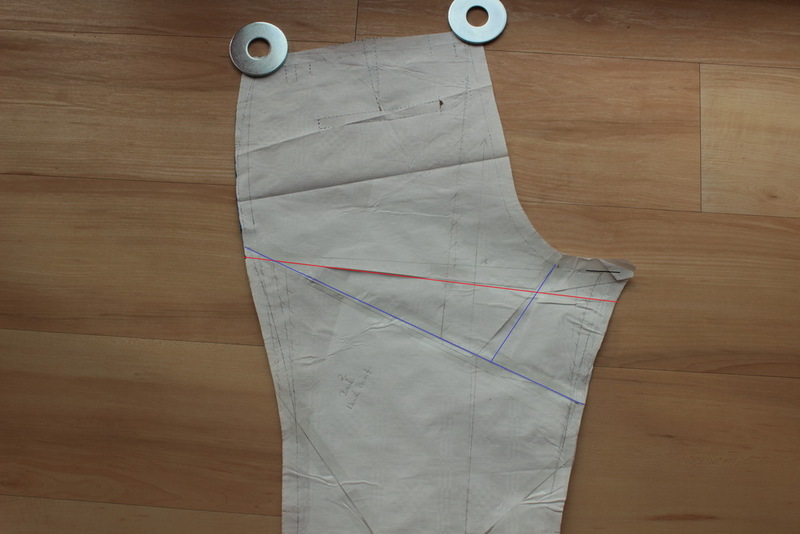 For the pockets I found some scraps of dark green lining fabric. I had to do a lot of fitting alterations. In the end, my pattern looked very different from the original pattern. If I would not have had the deadline and the help of Kennis, I would have given up after two days. There might still be room for improvement, but this is the best I could achieve so far. I shortened between crotch and fly (green line). I added the same amount back in the center front. 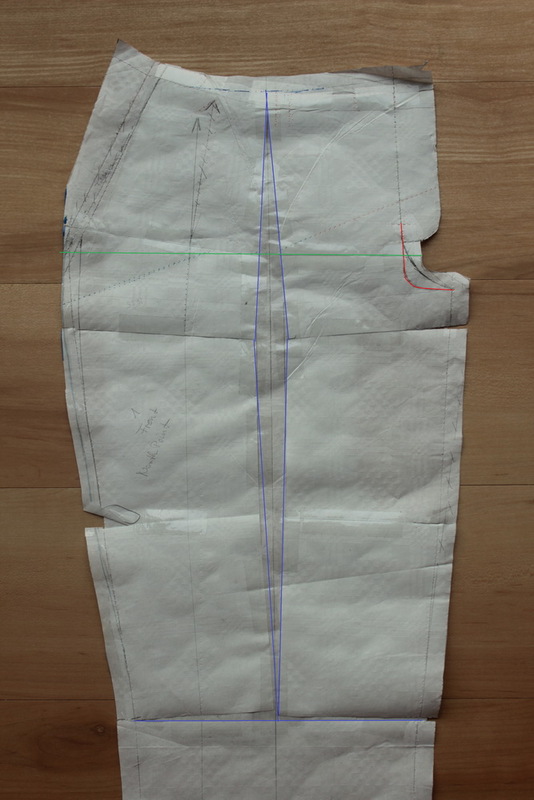 Of course I then had to make sure that all seams were the same length with the back inseam a bit shorter. In the end I took in the side seams a bit, so the result might be something between size 4 and 6. 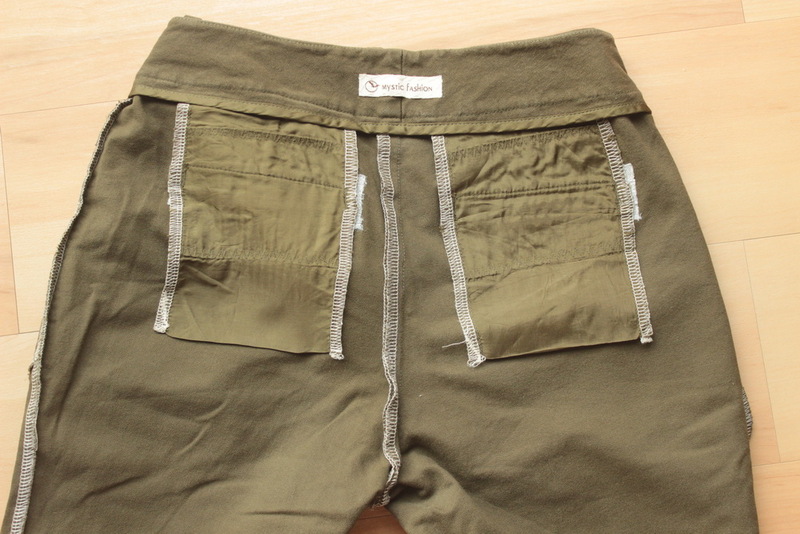 The instructions were very detailed, as always, and you get trousers with a RTW finishing. The inside of my trousers are quite messy though. This is the downside of pattern testing, for a clean finish I just need more time. 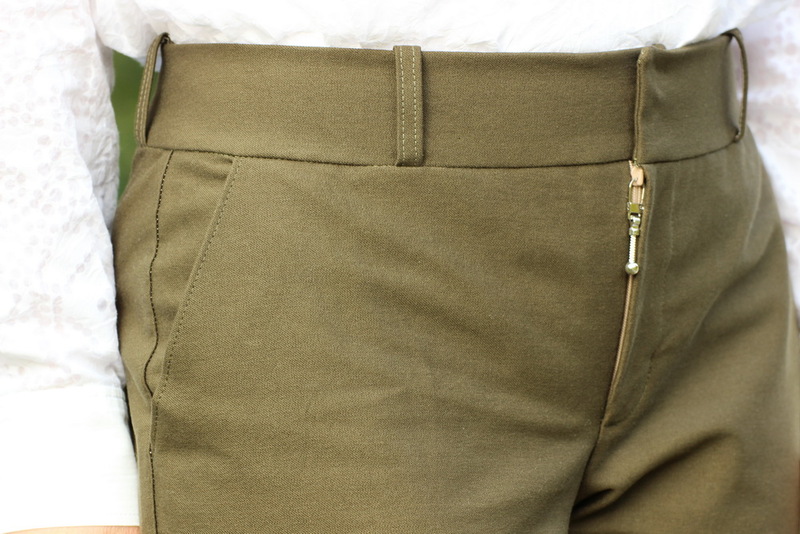 The front pockets go up to the center front and the waistband is finished with a bias strip. I like how the bias strip curves upwards to the center front. I have seen this finishing in some RTW trousers. During sewing my zipper handle broke and I was really desperate and thought I would have to replace the whole zipper. Fortunately, Crystal came to my rescue and suggested just to replace the zipper handle. I did not know that you can buy these in all different sizes and shapes. 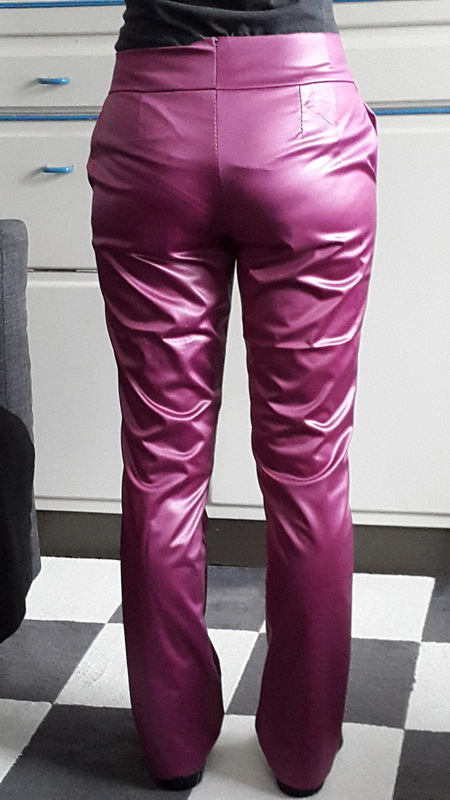 These trousers totally fit my bill for office wear. 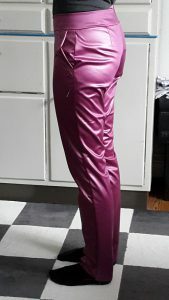 I already made a second pair with a few alterations, and this was not my last. Nice fitting! 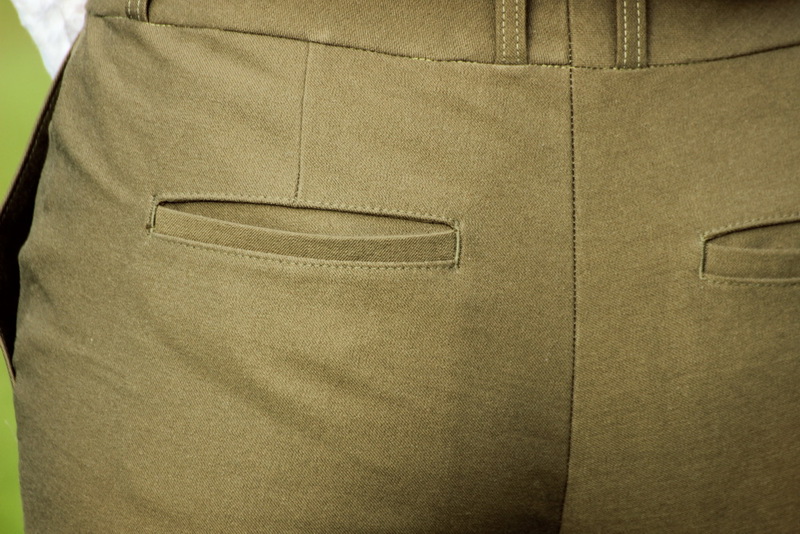 I love welt pockets… they make a garment look so professional!